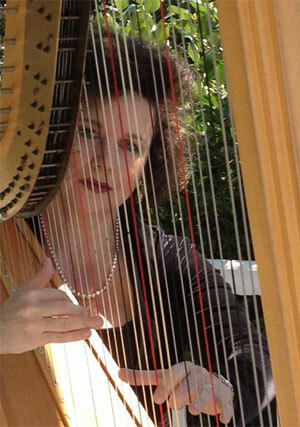 Harpist Laura Smithburg Byrne received her Bachelor of Music and Master of Music degrees from the Cleveland Institute of Music, where she studied with the renowned teacher Alice Chalifoux. Laura Byrne has performed with numerous professional orchestras and music groups across the country throughout her career. Some of the professional orchestras she has performed for include the Joffrey Ballet, Minnesota Opera, Louisville Orchestra, North Carolina Symphony, North Carolina Opera, North Carolina Ballet, North Carolina Theatre, the Chamber Orchestra of the Triangle, the Choral Society of Durham and many others. She is known for her strong, sensitive and soulful playing and for her musical versatility in a variety of genres. A performer in demand, she is known for her powerful yet sensitive playing, expressive musicality. Her performances with professional groups are frequently heard at Duke Chapel, Carolina Theatre, DPAC, Duke’s Baldwin Auditorium, UNC’s Memorial Hall and at the Duke Energy Center for the Performing Arts. 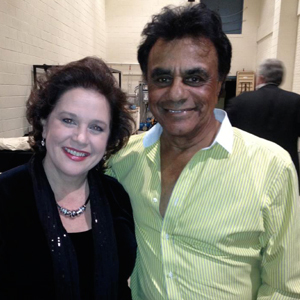 She has also performed on multiple occasions for more popular entertainers such as Johnny Mathis, Bernadette Peters, the Irish Tenors, and the Moody Blues. Mrs. Byrne is often heard performing at area churches with choruses and chamber music groups for special services and for holiday concerts.